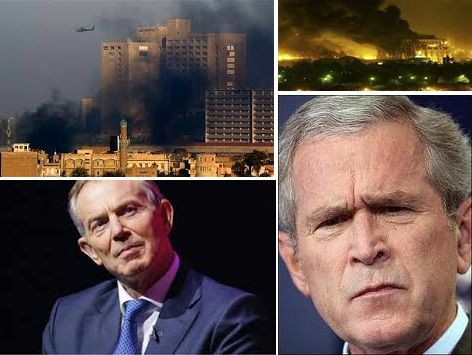 In a new development, the lies of the British and USA governments' claims come to forth which misled the UN and the world and making everyone believe that Iraq had WMDs - where as in reality Iraq had none and Bush and Blair knew it. It may be recalled thta the then British Prime Minister Tony Blair told parliament before the war that intelligence showed Iraq's nuclear, chemical, and biological weapons programme was "active", "growing" and "up and running". Now fresh evidence is revealed Monday about how MI6 and the CIA were told through secret channels by Saddam Hussein's foreign minister and his head of intelligence that Iraq had no active weapons of mass destruction.